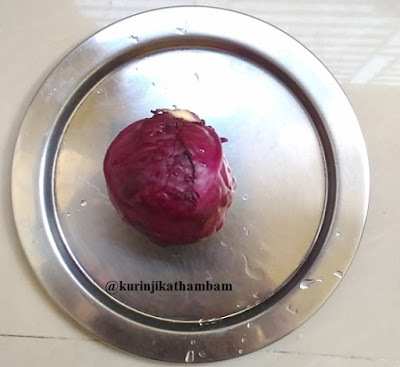 Usually We use Cabbage only as Poriyal. We can use the Purple Cabbage as in ingredient for Uthappam to make it colorful. Kids loved it very much and the Uthappam also came out very colorful. 1. Heat 2 cups of water, put salt and turmeric powder. Then add the whole cabbage into it. Leave it 5-10 mins. Then remove from the water and wash it thoroughly and use. 2. Chop the cabbage into very very small and thin pieces. 3. Wash and chop the green chilly into thin round pieces. 4. Heat 2 tsp of oil in a pan, add mustard seeds and wait for popping. 5. Then add the urad dal, channa dal and cumin seeds. Then add the green chillies and curry leaves. Sauté for few seconds. 7. Mix this cabbage mixture with idli or dosa batter. 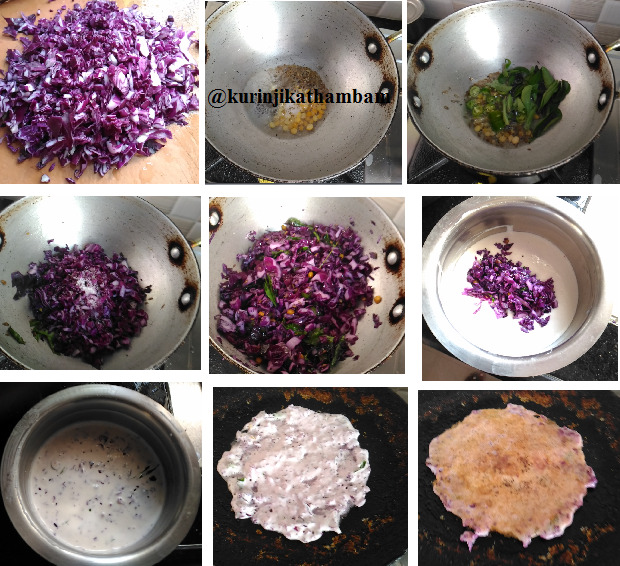 Cabbage dosa batter is ready. 8. Heat the tawa and pour ladle full of batter on its center. Then make it into a concentric circle using the back side of the ladle. 9. Pour 1 tsp of oil along the sides of the dosa. Turn over once it reaches golden color. Remove once it reaches golden color on both sides. 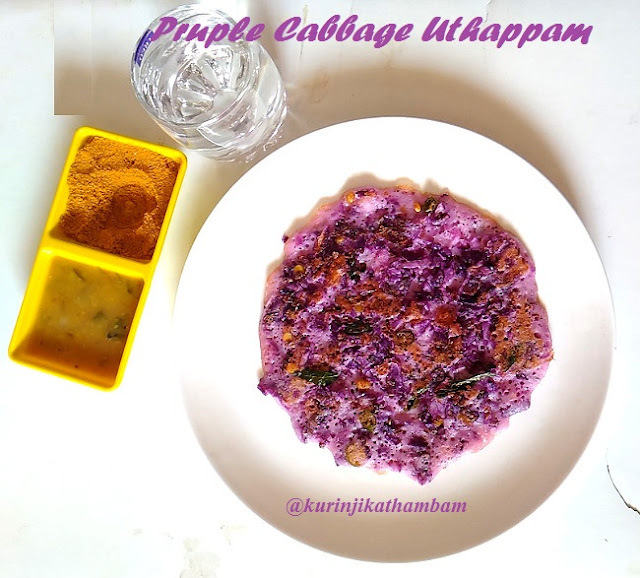 Colorful and aromatic purple cabbage dosa is ready. 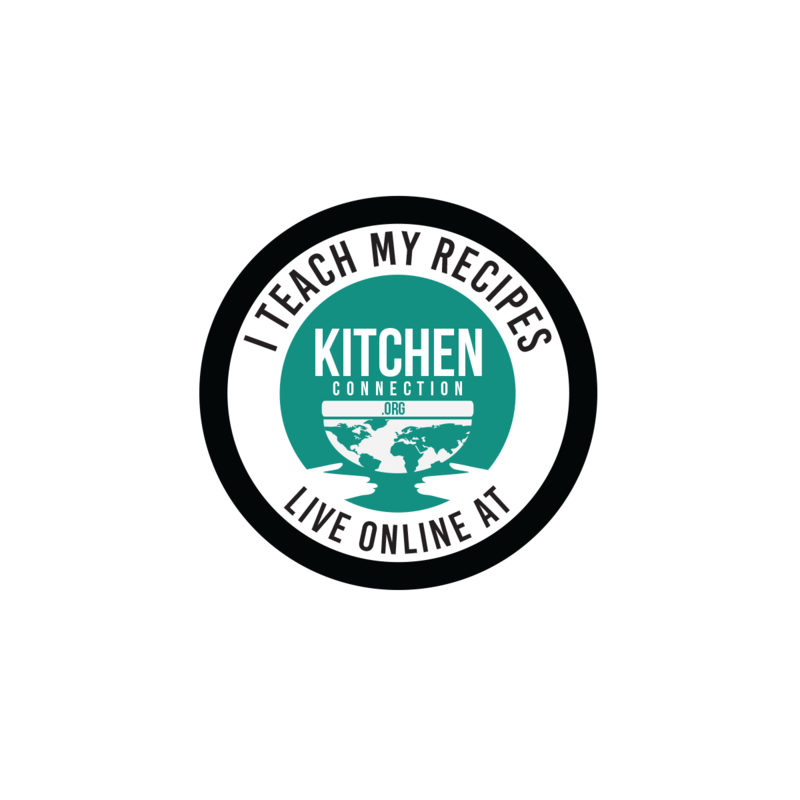 Serve it with Sambar and Idli Podi.